Electric utilities don’t have the same competition many other businesses do. Rather, customers are determined by where they live. So to keep these monopolies in check, different players provide oversight. 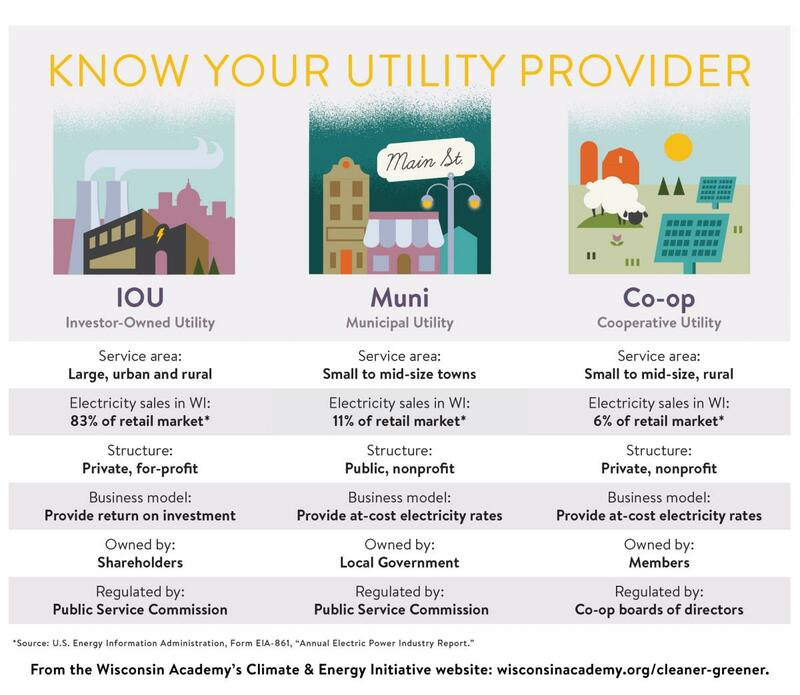 Each state has a public utility or service commission regulating the utilities such as the Public Service Commission of Wisconsin, as well as a consumer protection group. Wisconsin is one of just two states in the country where a non-profit organization takes on this role. In Wisconsin, this group is the Citizens Utility Board (CUB) of Wisconsin. 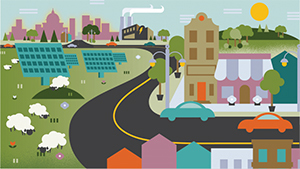 The Citizens Utility Board was created in 1979 by Wisconsin’s legislature in order to represent residential and small business customers to the PSC. Opening in 1980, it is the oldest operating citizen utility board in the country. In 1986, CUB was reorganized as a private, nonprofit organization to better serve its members. Similar to public service commissions, citizen utility boards were conceptualized to provide another check on utilities that operate as monopolies. While public service commissions regulate the utilities, the citizen utility boards represent consumer interests concerning affordable and fair utility service. In recognition that many ratepayers – from individual citizens to small businesses – either lack expertise or cannot afford to hire experts to advocate for reliable, safe, and fair utility service, CUB has assumed this role. This entails regular interaction with ratepayers, electric utilities, and the PSC. Here is a summary of other state utility consumer advocates in the Midwest. CUB is a member of the National Association of State Utility Customer Advocates. The public can work with Wisconsin’s consumer advocate group—the Citizens Utility Board—to amplify their voice in PSC proceedings related to changes to rates, services, and infrastructure proposed by utilities. The PSC’s decisions are informed by the information provided through the regulatory process. CUB works on behalf of customers to intervene in these cases, providing technical information, expert witnesses and attorneys, and other resources that would be difficult for a typical Wisconsin resident to provide on their own. Contact CUB or another ratepayer organization to get involved.